Jaime August 5, 2015 February 24, 2016 Comments Off! Every organization has a core constituency. For schools it’s their students and parents, for organizations it’s their members and supporters, for churches it’s their parishioners… you get the idea, and I’m sure you’ve already identified your own constituency. 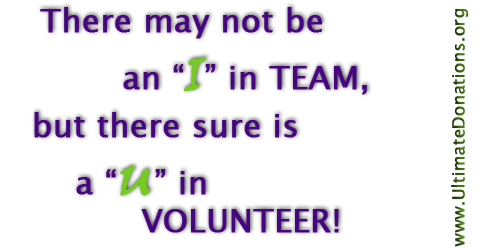 And promoting your event to your core group of potential attendees is something that definitely should not be overlooked or underdone! Send out invitations! This can be as laid back as an electronic invitation (evite.com and paperlesspost.com are both great, FREE options) or as formal as a physical invitation with a response card. Whatever works for your group and budget is the way to go. Don’t forget to ask people to respond in some way so that you can start to estimate the number of guests you will have at your event. Put up posters and flyers around the building! If you have a building that people visit this is a great option. Use something with large print that isn’t too busy so that people can take a quick glance and still understand what it is for. Use sandwich boards! Maybe you are a youth athletic team that doesn’t have a building. Invest in a sandwich board and create a poster for it. Don’t forget to use both sides! You can put it out at all your practices and games. This works great for school carlines and church parking lots too. Don’t underestimate the power of a sandwich board! Utilize your email list and/or newsletter! A well done, colorful ad will grab the eye. Just try not to make the ad an attachment since people may be less likely to open it. Instead, keep it in the body of the email where more people will see it. Advertize with something show-stopping! Be creative. Maybe you are a school with a fashion show that’s coming up? 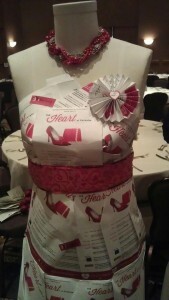 Why not use a dress-form covered with your invitations to remind constituents of your event. Place it outside the door of other events around school, like concerts, back-to-school night, or conference days to remind parents in a very visual way of your event. Looking to do something at an outdoor event? Don’t underestimate the value of a beautiful chalk drawn advertisement. Use social media! If your organization has social media accounts you should definitely be taking full advantage of those. Posting event information, photographic sneak-peaks, and video teasers will all help create that buzz. If you have Facebook, create an event and invite your fans to join. Don’t forget to let them post content too! Utilize the calendar! Hopefully you have started planning your event early enough that you can add it to your organization’s calendar for the year. Everyone holds on to those! Be a wearable billboard! Design and wear t-shirt with your event information. Something bright and colorful, or with a catchy slogan work great. 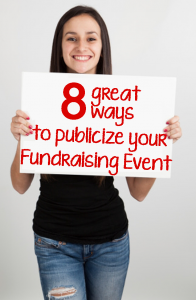 Even better, selling them before an event can raise funds and advertise all at once! Hosting a fundraising event and looking for product donations?? Let UltimateDonations.org help you solicit more product donations in less time. Click here to set up your free account today! September 8, 2015 February 18, 2017 Comments Off! March 29, 2016 March 29, 2016 Comments Off! July 27, 2015 Comments Off! 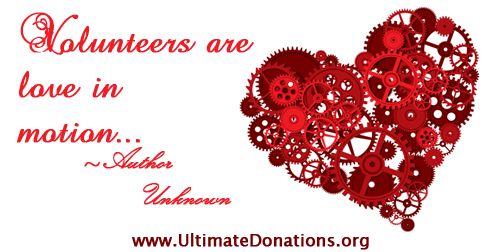 Happy Valentine’s Day from Ultimate Donations! February 14, 2015 January 18, 2016 Comments Off!